Edited by Jelena Kušić-Tišma . 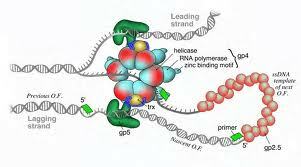 DNA molecule is the carrier of genetic information in the cell. Its faithful transmission through the generations is the basis of genome stability and integrity. A number of pathways ensure that the genome is replicated once and only once each time the cell divides. Several chapters in this book are dealing with regulation of DNA replication in eukaryotes. Targeted phosphorylation and dephosphorylation of key proteins that carry out initiation step of DNA replication is presented in chapter by Zhai et al., how initiator protein Cdc6 may promote cell proliferation by preventing senescence is demonstrated in chapter by Feng et al., while additional mechanisms, beside cyclin- CDK activity, adopted by cells to prevent re-replication during cell cycle arrest is addressed by Chandrasekaran and coworkers. This book highlights different aspects of DNA replication process in eukaryotes, from assembly and regulation of prereplication complex (Lutzmann), mechanism of unwinding the double stranded DNA during initiation step (Simmons) and possible importance of intrinsically bent DNA regions in replication origins (Fiorini et al. ), through structure and function of DNA polymerase α (Takemura) and functional analysis of its individual subunits (Mizuno et al. ), to formation and propagation of epigenetic patterns during the cell cycle (Jacobi et al.) and its changes by various environmental factors (Kubota). On the other hand, minichromosome maintenance complex (MCM) is essential component of pre-replication complex and plays the central role in the progression of replication forks. Regulation of MCM complex under replication stress in order to preserve the replication machinery is reviewed in chapter by Zafar and Nakagawa. Possible role of MCM7 protein in human malignancies and its potential use in gene therapy is analyzed in chapter by Luo and Yan Yu, whereas possible function of another member of MCM protein family, MCM8 protein, in DNA replication and during the cell cycle is discussed in chapter by Daniel. Interesting on its own right is the question of collision between replication fork progression and ongoing transcription discussed in chapter by Castro-Roa and Zenkin. Visualization of chromosome structure dynamics during S phase of the cell cycle, covered by Gotoh, has provided much of our understanding of relation between DNA replication and chromosome condensation. Research of DNA replication, carried out in E. coli, revealed the basic mechanism and enzymology of replication fork and Espindola-Serna and coworkers in their chapter present an overview of DNA replication process and its regulation in prokaryotes. The chapters in this book bring the current understanding of the mechanisms leading to genome stability and replication fidelity and we hope the reader will find it interesting, helpful and inspiring. Daniel Castro-Roa and Nikolay Zenkin . You've just read an article category Biochemistry Genetics and Molecular Biology by title TEXTBOOK : FUNDAMENTAL ASPECTS OF DNA REPLICATION. You can bookmark this page URL http://www.openaccessbooks.com/2013/03/TEXTBOOK-FUNDAMENTAL-ASPECTS-OF-DNA-REPLICATION.html. Thank you! No comments yet "TEXTBOOK : FUNDAMENTAL ASPECTS OF DNA REPLICATION"